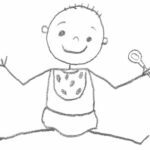 You can absolutely start your baby off right by feeding them Paleolithic foods, properly cooked (when necessary) and mashed or pureed. There is really no compelling reason why you should ever introduce grains, as there are far more nutritious, easily digested foods that won’t irritate your baby’s sensitive digestive tract. So, here are some frequently asked questions by new moms thinking about introducing solids. When should you introduce solid foods? The general rule of thumb is that you can introduce solids once your baby is at least 5 months old (6 months old is better), sitting up well, interested in your food, and you have the go ahead from your pediatrician. Watch closely for signs of choking and never leave a baby or toddler unattended while they are eating. You can help prepare your baby’s digestive tract for solids by breastfeeding exclusively (which helps provide probiotics and hormones and enzymes that help mature the digestive tract). You can also give them a small amount of acidophilus/bifidus (buy a capsule that you can break open, and rub a small pinch in their mouth before they nurse or take a bottle) once or twice a day, starting at about three months old (again, with the approval of your pediatrician). Many people prefer a baby-led weaning strategy, whereby you wait until your baby is able to self-feed soft finger foods (some babies will be able to do this as early as 5 or 6 months, but 8-10 months is more usual). The food lists below are still applicable to a baby-led weaning strategy, just cutting foods up into small pieces instead of pureeing. What consistency should baby food be? First foods should be thinned with breast milk or formula and be very runny (it should pour off of a spoon and really be only slightly thicker than breast milk). Over the first few months, gradually increase the thickness of the baby food. By eight months old, most babies can start to handle a little texture in their baby food (think oatmeal consistency). By ten months old, most babies can handle a soft food, mashed with a fork. Sometime between 8 and 10 months old, you baby will probably show interest in some finger foods (like small pieces of soft fruit or cooked veggies). Watch your baby’s cues and don’t rush them. What time of day should you feed your baby? Start with just one feeding a day, usually in the middle of the day, when you’re baby is not tired, and stop as soon as your baby is no longer interested. Your baby may only eat a few mouthfuls for those first few meals (or even few weeks of meals). You can also start to introduce sips of water at the same time as you are introducing foods, either from a cup (regular, sippy, straw) or spoon. Over the first few months, you can gradually increase the number of times a day that your baby is eating. By 9 or 10 months old, most babies will happily eat three solid meals a day and maybe even a snack or two. Being watchful for allergies. It can take several days for an allergic reaction to a food to present itself. Only introduce one new food every 4-7 days (on the longer side if there are food allergies in your family). You do not need to give that new food every day for those 4-7 days, one or two exposures is sufficient. There are many high-allergy foods like berries, tomatoes, nuts, shellfish, citrus, and egg whites that should wait until your baby is at least one-year old before introducing. Is it easy to make your own food? Not only is it quite easy, it yields much more nutritious and tasty food for your baby. I like to make a fairly big batch of anything that I’m making and freeze tablespoons full (before thinning so that I can control the thickness as my baby gets older) in ice cube trays (once the food is frozen you can pop the cubes into a bag and label for easy defrosting later). Just make sure you aren’t refreezing anything (like freezing a mash made from steamed frozen vegetables). Can you mix foods together? Absolutely! Play with different combinations! Something that might seem odd to you might be delicious to your baby! And most babies prefer one taste at one meal, so it’s a great way to increase variety. Just make sure that all the ingredients are ones you’ve introduced before (or at least all but one). What are the best First Foods? 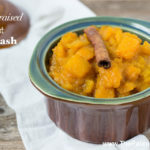 The best first foods for your baby are mashed ripe avocado, mashed ripe banana, mashed cooked sweet potato, mashed cooked winter squash, pureed liver (preferably pastured/grass-fed) and pastured egg yolk. For babies at least six months old, very well pureed, well cooked meats (puree with broth or breast milk) and whole milk yogurt (especially from grass-fed cows) are excellent early foods. What foods can you introduce when? 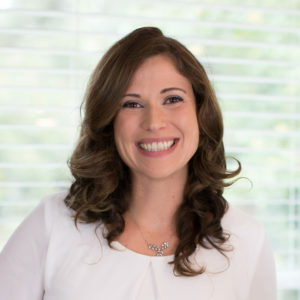 , which I highly recommend even though I disagree with her dislike of feeding meat to babies and toddlers) and this is not intended to replace the advice of your pediatrician. 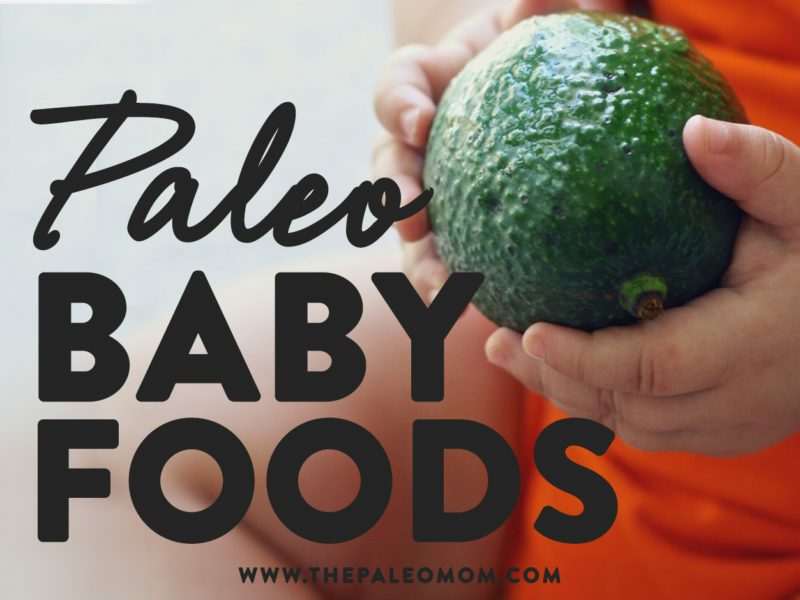 I was wondering about Paleo babies and dairy… do you have any suggestions? My daughter is mostly EBF and is 14 months old. She eats egg yolk and plays with everything else I offer her. She’s really not interested in eating… I think she might enjoy yogurt (if she’s not sensitive to it). But I was worried about the leaky gut and dairy thing. There’s really no good reason to introduce dairy if your child is still breastfeeding. However, yogurt can be well tolerated by many babies (especially if there are no other gut irritants in the diet). So, if you want to try yogurt to help encourage her to make the switch to more solid foods, I would suggest finding plain, full-fat yogurt from grass-fed cows or goats. Try a very small amount and wait a few days looking for any signs of stomach upset, irritability, sleeping more, rashes, rosy cheeks or ears, dry skin, or runny nose. My 5-year old seems okay with dairy and my 2-year old isn’t (which is tough because my 2-year old LOVES milk). A really good alternative would be to make your own out of full-fat coconut milk (without guar gum as an ingredient). I think most EBF babies are eating a fair bit of solids by 14 months, so I do think you’re on the right track to try and find something to gently coax her into it. Good luck! Can you try raw dairy? People that are lactose intolerant can handle raw milk products. I have been drinking raw milk for years now, and it is a wonderful, healthy thing.. As long as you get it from a small grass fed farm.. Here in NY, it’s illegal to sell unpasteurized yogurt.. Which a lot of us don’t agree with, but we still eat it.. 100% grass fed yogurt is soooo good.. Very creamy, and fatty!! 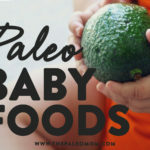 I am raising our 1 year old son Paleo from the start, since diabetes is in my family, and we don’t really see a reason to get him going on grains, since he didn’t really care for oatmeal or rice when introduced to it. I do give him full fat yogurt, both regular and greek, which he adores and full fat cheeses. I am also making all his food and I love your post! Wish I would have had it a few months back, but we are hoping to have one more little one, and I will for sure use it then! I wish I knew now a year ago! My son is 19 months old and has chronic sinus troubles. He’s mostly Paleo now but I give him goats milk and occasional cows milk. Where do you find coconut milk without guar gum? I live in Canada and shipping costs on food from the states is awful. Should I remove all dairy? How would I get him his calcium? He also has minor excema so his immune system is not right. My daughter also has chronic sinus trouble (and chronic stomach aches). Did you find changing your son’s diet helped with his sinuses? I’ve been Paleo on and off for a few years but I’m starting my daughter on it full time and hoping it will help. I know this post was from a few years ago so I’m hoping to learn from your hindsight. Thanks!! Do we need to add any supplements that may be missed out by not giving the traditional rice or oatmeal cereal first? No. Vegetables, fruits and soft meats have way more nutrition than fortified cereals. My son is now almost 11 months old and we’ve been doing solids veerrrryyyyyy slowly (like, started at 6 months because he snuck some avocado off my plate but he gets maybe a bite of something a day) because I plan on full term breastfeeding and well, I’m lazy 🙂 We’ve given him whole wheat pasta once, and he’s had absolutly no dairy. My mama instinct has kept me from introducing either of those things, and now I’m going to be going Paleo d/t gluten sensitivity and a REALLY useless digestive system. My question: why the dairy for babies at all? It doesn’t exactly seem like something that you can easily just ‘pick up off the ground and eat’ so I’m just wondering why it’s included? It’s hard to deny to health benefits of dairy.. It’s just crappy they force everyone to drink crappy store bought milk.. Raw dairy is the way to go. People have had raw mammals milk for thousands of years. We are also they only mammals who continue producing lactase into adulthood. I don’t know why the author included dairy specifically, but it’s prob along the lines of yogurt from grassfed cows being VERY healthy.. Full fat non pasteurized, non homogenized dairy is the way to go. My daughter went for her 6 month wellness checkup today and the pediatrician seemed concerned about her weight. At her 3 month wellness checkup she weighed in the 19th percentile; today she fell into the 3rd percentile. He inquired if we had begun to feed her solids. I told him that we started her on avocados, sweet potatoes, and winter squash…he was dumbfounded that we had not introduced her to cereal. When I mentioned that we had no intention of introducing cereals or grains, he looked at me like I was nuts. Basically, he said that she needs to consume more calories and that cereal would provide the calories that she needs to increase her weight. I was thinking that there must be a “Paleo” solution to this problem. Suggestions would be greatly appreciated. Yes, I think you can fatten her up with Paleo foods. 🙂 I was on doctor’s orders to fatten up my oldest when she hit 5th percentiale at 1-year (but ws 50th for height). Our doctor suggested instant pudding made with cream after every meal. It took us years to recover from that! Many babies lean out when they first get mobile, so this is probably something that I’ll correct itself. I don’t think it’s as simple as more calories, but I do think that focussing on some more calorie/nutrition-dense foods for the next few to introduce makes sense. Avocado is great (so are sweet potatoes and banana!). I think egg yolk and liver (lamb would be best, chicken or calf good too) would be great next foods to introduce. The more calorie dense fruits are bananas, mangoes, apples, pears, and reconstituted dried apricots and prunes (figs too, but the seeds are a bit much for such a young baby, and dates, but those are a bit too sugary). You could also try more dense starches like taro, plantain, and parsnip. Once you have a bit more variety of solids to present, you can start mixing (banana and avocado are great together, for example; but you could mix chicken liver with apple sauce if you want). Try not to stress. If your daughter is still being breasted, you can also try doing some block feeding (where you start on the same side as the last time to drain the hind milk, then move to the new side, or pump the first couple of ounces off to get to the hind milk earlier). I don’t know why it took me so long to stumble across your blog! I’m loving everything here. I’m a breastfeeding Paleo mom of a 9-month old and work full-time. At this point, I am struggling to keep my milk supply up (mostly because I can’t pump that often at work). But, I’m also curious if my diet is affecting my supply. I’d love to learn more about the optimal ratios of macro-nutrients for lactating mothers. My son’s pediatrician said I needed to do cereal even though I didn’t want to because by 9 months his iron levels would be low. We use formula and I wanted to skip cereal. Any suggestions? If you are feeding him meat among his first foods, you shouldn’t have to worry at all about iron. Chicken liver makes a great first food. Hi, Ithanks for this post, it’s really helpful as I’m just starting our 6 month old on solids. Silly question but is the egg yolk raw or cooked and mashed? I always fed mine cooked and mashed egg yolk, but others do feed raw. The only issue with raw is the risk of salmonella, which is very small, especially if you know where your eggs come from. hello, i love your blog! Having a 4-month old and doing research on how to start him on Paleo right away at 6 months. I would like to know- courgettes are to introduce when? And potatoes? I know they are not purely Paleo, but we sometimes do eat them. Thank you! Hi, I am Palo for the most part and have started my 9mth son on baby foods that I have been pureeing. My question is instead of adding rice cereal to his nighttime bottles, have you heard of anything else like coconut flour? I am exclusively breastfeeding so its pumped milk but I am trying to get him to sleep longer stretches of time at night…. any suggestions? Coconut flour is high in inulin fiber which is hard to digest and highly fermentable. I don’t think that’s a good idea. The only ideas I have is maybe pastured egg yolk or chicken liver or lamb liver if you’ve already introduced those as solids. But, I actually think it would be a better idea to try a solids meal before bed instead of adding anything to a bottle. Great point! I gave my baby daughter pureed chicken liver before bed a couple of times, then bf’ed her for night time, and she slep amazingly good. The one time she woke up at about 5am ( she wakes around 2-3 times usually) had me confused as to what she would want. What would you suggest as some kind of teething biscuit for my 7 month old? Her teeth have just started to come out and I would like to give her something to chew on. I have stayed away from the biscuits in the store because of the grains and I would like to try to make something for her that is grain free. Thanks for the help. We did this at 8 months old. I boiled it for 4 min so it was still runny but the white hardened enough to seperate. My son was throwing up 2 hours after non stop and we had to rush him to the hospital because we were afraid of dehydration. Poor thing looked helpless and wouldnt keep anything down. The DR just said “no dairy before 1 year”. Very helpful……Do you have any suggestions as to what I couldve done wrong? Well, you could have been extraordinarily unlucky (only about 1 in a million eggs have salmonella), or it could have been an allergic reaction (which can still happen even if you are eating Paleo). Either way, I would give it some time before trying egg yolks again (maybe a couple months if other foods are successfully reintroduced well, maybe 6 months to a year if other food allergies show up as you introduce foods). Just wondering. … if I have two diagnosed autoimmune disorders should I be limiting certain foods like egg whites, nuts etc for my 17 month old being that there is a hereditary link but also environmental link? I’d love to reduce her latr risk but hate her to muss out on things that she doesn’t need to…. Any advice? Hello, I love your blog (just came across it) I have a 7.5 month old that doesn’t seem to tolerate grains well. Just wanted to see if you could give me some ideas on what meals would look like. I cut out the grains but never feel like he’s getting enough now if dinner is just a veggie. He will have peaches for breakfast and then sweet potatoe or squash for dinner. Would you say thats enough or how would you make this more of a “meal”? At this age, you could be introducing avocado, chicken liver and egg yolk, all very nutrient dense foods. But, your baby will probably be getting the bulk of their nutrition from breastmilk or formula for a few more months. Any food that you’ve already introduced and know your baby tolerates can be mixed together. Babies like some pretty unusual combinations (my youngest’s favorite was avocado and banana, and I would sometimes add egg yolk to that too). Hi there. First of all i am so excited that I stumbled across your website! So informative! We are having issues with our almost 1 year old… we are currently avoiding casein, nightshades, and gluten.. we are trying to figure out allergies/sensitivies. I am making almond milk with coconut milk for added fat. she drinks 3-4 bottles a day. As far as food goes she won’t swallow much of anything.. she chews whatever is on her tray and then spits its out.. if i were to feed her brown rice cereal (homemade) she will eat it it but that is the only food we can guarantee to get into her (besides mashed bananas)..
Is she still nursing or is the almond and coconut milk all she’s getting? Have a look at the Weston A Price Foundation website for their formula recipes (they have a bunch, some with dairy but one that is liver based which would provide way more nutrition than almond and coconut milk). I would suggest trying to mix small amounts of other things in with the banana. My youngest favorite was banana and avocado, but you could also do pastured egg yolk (I used to hard boil the eggs then purée the yolk into things), liver (braising is a nice way to cook it, lamb is the most mild tasting liver, bison is my favorite to eat, and chicken liver is good too), some starchy veggies like sweet potato or squash. You might also be dealing with some swallowing reflex issues or some sensory issues, so those are things to talk about with your paediatrician (both can be helped with occupational therapy). My 9 month old and 3 year old eats what we eat and I’m trying to do some Paleo baking that I can have for snacks but most recipes call for honey as a sweetener, in Australia it is recommended that you don’t introduce honey until kids are two due to the risk of infant botulism. What sweeteners would you recommend as an alternative? When subbing for honey, you’ll want to use a liquid sweetener, typically. Maple syrup would be a good choice. where on earth will i get chicken, lamb or even calf liver? i live in alaska and plan to go completely Paleo for my family. my daughter is 5 months now and i had to freeze a bunch of fruit until she is ready for it so i could make sure they were organic. but i am realizing the iron side of things and i cant imagine where id get those things or how to prepare then for such a beginner????? You could try US Wellness Meats (which ships). Being in Alaska, you might also have access to some more unusual organ meat like sea lion. Do you have a health food store, organic market, farmer’s market or anything like that that you can go to and ask around? Health food store is sad and expensive. no one eats sea lion here at least I’ve never heard of it even from the natives. we can get meat from a butcher, I think, for deer, elk, moose, bison, and maybe whale. the farmers market is sad too and only 4 months out of the year. are those meats safe for her since they’re definately wild? Yes, those would be awesome! I can get bison, but I can’t get deer or elk and definitely not whale, so that’s cool (I guess it’s a trade off with not having a good Farmer’s Market). What can I feed my 4 week old son if I am not producing enough breast milk for him without having to go to formula and if I need to go to formula what do you suggest? So, first: how do you know you aren’t producing enough breast milk? failure to thrive? or just a hunch? Things that support breast milk production: nutrition (lots of nutrient dense foods like organ meat, seafood, lots of fruits and vegetables–especially a focus on getting enough to eat, not going low carb, and eating good quality fats and sources of fat-soluble vitamins), sleep (I know it’s corny, but it really is important to nap when the baby naps), stress management (I know it’s tough but whatever you can do will help, don’t work on losing weight right now because if your supply is dropping, your body is telling you to stop), and hydration (water!). Latch can affect supply, so finding a local Le Leche League chapter or lactation consultant or someone to help with latch can be huge. Bonding can affect supply, so things like holding your baby, using a moby wrap or similar can help, but also things like hugging your husband or family can help too. Also, letting the baby suckle even after there’s not much milk left will help stimulate more production. 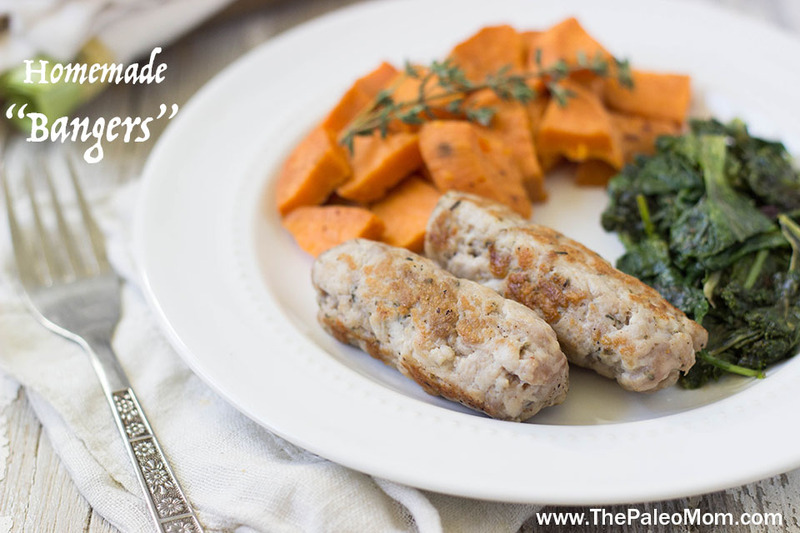 PaleoParents.com has a recipe for a Paleo-friendly lactation cooking. If you need to supplement, I recommend looking at the homemade formula recipes on the Weston A Price Foundation site. I hope this helps! Our grandson is 8 months old and he is breastfed. My daughter wants him to be fed real food only (Paleo) and wanted my help, since I eat this way. We introduced solids when he was 6 mos old (avocado and sweet potato mixed with breast milk). He did real well the first couple of feedings, but then became repulsed by any food after that first week. We tried giving him mashed banana – thinking the sweetness of the banana might encourage him – but he refused anything. We took a couple of weeks off, then tried to introduce food again on different occasions…avocado, sweet potato, squash, banana, even tried grass fed beef! He refused all of it and would always turn his head and not open his mouth to eat. It’s been weird. Everyone is suggesting to try baby rice cereal, which, thankfully, my daughter doesn’t want to do. My question is, should we just keep trying or wait another couple of weeks to reintroduce solids again? He doesn’t have much interest yet! Is this normal?! Some babies do do this. My recommendation would be to be patient, keep trying, try some other foods (maybe chicken or lamb liver, egg yolk, some different root veggies or stewed fruits). If he has teeth, you could even offer him some very soft small finger foods and see if he does for those. A pediatrician might be able to recommend probiotics (I’m wondering if he had an upset tummy after solids at 6 months, which caused the aversion? ), and make sure not to be stressed about meals because he’ll pick up on that for sure. As long as he isn’t losing weight, you can be patient and let him set the pace. Thanks for the response and your website. We’ll just be patient and keep introducing what we can at a slow pace. Is it okay to feed a 6 month old organic extra virgin coconut oil? I started solids with my 6 month old today.. cooked a white sweet potato in chicken broth, mashed it up and then added coconut oil to it. She’s also very constipated, hasn’t had a bowel movement for 6 days, and shes in a lot of distress. I wasn’t sure if it was a good idea to start feeding her since she’s constipated, but i thought the broth and sweet potato would be good for her tummy. I don’t want to give her sugar water for the constipation. I’ve tried olive oil, but it hasn’t helped this time. She’s frequently constipated since she’s been 2 months old. Any thoughts/tips to help me out will be greatly appreciated. Forgot to mention that I eat grain/dairy/sugar free for the most part. I’ve been having gluten free oatmeal to increase milk supply.My diets pretty good ( I think hahaha), although I can’t eat any meats/fish/chicken as I just cannot tolerate the smell/texture/taste of it. I make broth for me and use that as a base for veggie soups etc. So, to add to my reply: tryptophan is a necessary amino acid for the formation of serotonin and melatonin which both regulate peristalsis of the gut. Your diet is likely lacking if the only animal protein you are eating is broth and maybe eggs (which you didn’t mention, so I assume you’re eating). Often when people have aversions to meat, it’s actually because they have a hard time digesting it, meaning that you could try taking digestive support supplements (HCl if not contraindicated, pancreatic enzymes, and ox bile). Also, if you are eating so little animal product, you are likely deficient in some key vitamins, like B12, biotin, A, D, and K2. I would also recommend that you add probiotics to your diet (either a good supplement like Prescript-Assist or fermented foods or both) because that will be passed on (in a good way) to your daughter. Great ways to protect your milk supply are: making sure you are eating a nutrient-dense diet, with enough calories and enough carbs (like root veggies and fruit), getting as much sleep as possible, managing stress, staying hydrated. I always end up with a vaginal infection when I supplement with probiotics!! so I don’t take those any longer. I do have iron deficiency, had a blood transfusion at 37 weeks of pregnancy as my hemo was at 7. I’ve tried using protein powders, but I’ve gotten tons of abscesses so I stopped that. It’s difficult to find a suitable pancreatic enzyme or ox bile, as it needs to be certified kosher/halal for me to consume(I’m Muslim). Do you have any suggestions that I could use now to help her have a bowel movement? Do you plan on pureeing it or cutting it into small pieces? If pureeing, I would simmer in some broth and then puree the whole thing. If you’re going to cut pieces, I would pan fry for a couple minutes per side (should still be pink in the middle, but opaque). Hello, I love this information. 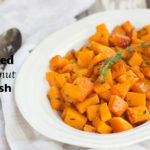 Two quick questions, I recently started my 6 month old on solids, and I steamed frozen butternut squash after I pureed it. Why would I not want to use it again? Secondly, my pedi told me to start him on meat or fortified rice cereal also if I’m going to be doing solids, but I’m itemidated to start meat purees… how soon after starting solids do I need to start incorporating high iron foods? Thanks so much! 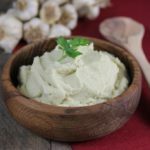 Hi, I’m wondering what your thoughts are on adding ghee or grass fed butter to solids. My son is 9 months old and exclusively breastfed and I also make him Paleo solids. Thank you! We just started our 5 month twins on solids this week and I plan to make their food after we use the stash of first foods that were gifted at the shower. 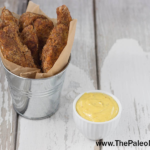 We started Paleo when they were 1 month old because the boy twin had a significant amount of blood in his stool and was determined to have allergic colitis from a dairy protein allergy. He was also rashy on his face, chest, and then eventually diaper area. His twin sister had a mild rash and was just what you would call fussy. The ped GI recommended removing dairy and soy from my diet first and then wheat, gluten, eggs….should the issues continue. After some research we decided to try the Paleo diet as a total family commitment. Within a week there was no more blood or rashes for our little boy and our little girl was a totally different baby. She does have reflux though and takes 2ml of zantac twice a day. I give this to her in a bottle of pumped milk and I have been adding a bit of rice cereal to it to help give it some consistency to hopefully keep it down. I understand the rice cereal isn’t the best way to go for them and I have been using rice cereal this week with their meal of solids. What can I substitute for the rice cereal in her medicine bottle? Also, what can we do to address our son’s dairy issue moving forward? I personally miss dairy and plan to reintroduce some of it to my diet when I am done breastfeeding. I have had some here and there throughout the holidays with no reaction in my son. 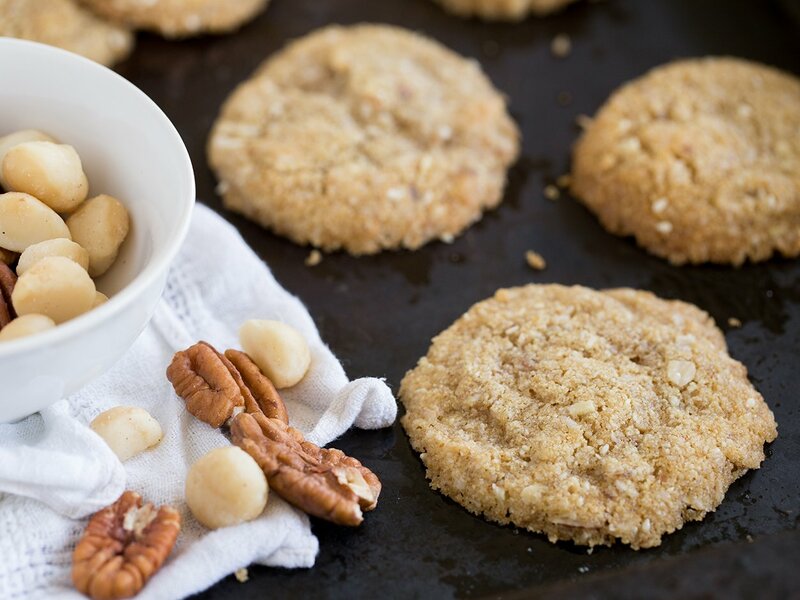 We want to do whatever we can to set up our kids for good health but also be practical about the kinds of food they will undoubtedly be exposed to at school or at friends. There is not a family history of any food allergies and none of their reactions so far have been life-threatening, but I don’t want to label my kid as having this extensive list of allergies that may not be real. My understanding is that reactions to proteins in breastmilk are not a guarantee that a child will be allergic to that food (it’s more because your body is reacting) and personally know one child who did turn out to be allergic to dairy but another who turned out not to be. As for a substitute for the rice cereal, you could try a well puréed root veggie instead. I generally recommend read, nutrient-dense foods and water. You could look at the homemade formula option from the Weston A Price Foundation. Coconut milk would be safer at 1 year old from an allergy standpoint (many pediatricians recommend waiting to introduce nuts until 2 or more, depending on family history). Hi, first i would like to say what a wonderful thing your site is and i feel so blessed i found it, Thank you, my son is three months old and his dr has us feeding him oatmeal cereal so he will sleep more then an hour at a time and as someone who is in the proses of changing over to Paleo im finding (with research) who much it really isnt good for him and am wondering at 3 months would you think its ok to try very thing solid types food? I am not a medical professional, so I can not give you medical or nutritional advise. I can tell you that from my reading of the scientific literature, a three month old’s digestive tract is not ready for solids. Be careful of the threats of wild game. Recent studies show alarge increase in mercury in fish and birds, to name one. I feed my 9 month old grass-fed, free-range, organic (farm-raised) Bison and she loves it, but am holding off on giving her any of our wild venison supply until she’s a bit older.When do you feel is old enough? Or is it simply just a matter of comfort with the risk of disease in the wild game? I would suggest checking out either my post about the mercury in fish or Chris Kresser’s post on the topic. I think this decision needs to be based on your comfort level. My 15 month old daughter is really great with trying all new foods, she at least tries them, she doesn’t like them all. I’ve started baking her grain free, healthy muffins, and breads sneaking in veggies and not using any sweeteners, just fruit to sweeten. It’s a good way for me to sneak in eggs too. However, I have only been using seed flours and coconut flour as I’m afraid to introduce nuts. I eat nuts, so I’m sure she’s been exposed but I’m afraid of an anaphylactic reaction (I know, I’m one of those always worried moms)! Is there an appropriate age I should wait until, to try nuts? Or is there a safe way I can introduce them to see if there is an allergy (rubbing them on her skin)? So far she doesn’t seem to have an allergy to any other foods. There are also no allergies in the family. She is still breastfeed, no formula, sometimes I use butter in baked things, but I try to avoid all dairy here. Most pediatricians would recommend introducing nuts at age 2 unless there’s allergy in your family, and then older (often 3-5). I had one pediatrician say 15 months, but I think that’s the minority. Since eating Paleo is no guarantee that there won’t be allergies, I think this is a topic to ask your doctor. There are certainly cases where vitamin D supplementation may be helpful, but I really think it’s important to test before supplementing since too much vitamin D can cause problems too. With breastfeeding and if your levels are good, she should be getting enough. As you introduce more solid foods, she’ll be getting vitamin D from the fat of any animal that lived outside (grass-fed meat, pasture-raised meat, seafood, grass-fed dairy if you choose to include that). And of course, the sun once it gets warmer. First I just want to say thank SOOOO much for this information & I LOVE listening to you on The Paleo View! 🙂 First time mom- My Daughter is 10.5 months, I am still BFing and she drinks BM in bottles when I am at work. She is also eating a wide variety of finger foods- loves to feed herself! ALOT of my friends having been asking when I will be weaning from BFing… my answer has always been around 1 year, but I love our BFing relationship so much that I am leaning towards whenever she is ready to wean. My question is after she stops drinking BM- what should she drink because I know her ped will recommend cows milk when she turns 1. Also any thoughts on when she should not be drinking from a bottle? If she doesn’t drink from a bottle but is still drinking BM- what would she drink it in? Thank you! I BF’ed both of mine until shortly after their second birthdays and lament not doing it longer! Lol! The last 6 months or so was just once or twice day, usually upon waking, and it was very special. I really miss it! I recommend weaning to water if she’s over 1 and eating a variety of foods. If you want to go to a cup with BM, that’s an awesome option. There’s lots of training cups around and I’m not in tune with the research enough to know what’s the best option in terms of development. Any suggestions or recipe sites for cooking meat for baby’s first food. I’m not sure why this scares me to death!! I have an almost 8 month old and am concerned about her iron also… she is EBF and eats about 2 Paleo friendly meals a day (fruits/veggies only). I am always struggling to keep my milk supply and was very anemic during pregnancy so want to make sure I’m keeping her healthy. Thanks for any direction!! Our family just started Paleo a few months ago and we would like to also make sure that our 8 month old also is on Paleo. I’ve been feeding him home-made veggies, fruits and some meats. Everything is mostly purried or cooked really well and is soft enough to separate into small pieces. I’m trying to think of snacks that I could give him to teach him how to feed himself (i.e. pincer grip technique). I see other mothers feeding cheeses and small pieces of pasta, but would prefer to not give this to my son so that I don’t have to take it away from him later. I’m trying to think of something that is healthy but also not so messy. Any ideas? My 7.5 month old breastfed bub has just decided she wants a third meal each day. I started her on solids at 6.5 months and only recently started her on 2 meals a day. I was hoping to keep her on 2 for much longer but she just wants to eat. I give her meat and veg for dinner and veg or fruit for lunch. I think she has some type of intolerance to banana and I’m reluctant to start her on dairy as her brother is intolerant. Do you have any ideas for breakfast? Can I give her coconut milk/yoghurt at this age with some pureed fruit? Any help would be greatly appreciated. Thanks! My five moth old baby is so very interested in food, fanatically tries to grab it out of my hands. The times I have given him little bits of food like blueberries, avocado, chicken and watermelon he gobbles it up no problem, no gagging or spitting it out. But he is only five months old and we have a strong history through my whole family of food allergies. Do I wait till he is 6 months? He was also two weeks over due so I am thinking his digestive tract is probably a little ahead of development? Plus is there a way to tell if there system isn’t ready besides rashes? He has had no visible reaction to the food so far. He breastfeeds still every two hours even at nighttime! thanks for any help you can give. I am also Paleo. Hi! My 11 mo wants to rip the Paleo baked goods I make for me and my son out of our hands. I think she’s dying for something with that texture. Is there any option in that category that would work for her? I usually bake with coconut and almond flours, which I see are not ideal for her. Thanks in advance! My family is new to Paleo (like 5 weeksish), we have been eating clean, non-processed for several years, but decided to go full on Paleo recently. Since we’ve started our diet changed I’ve noticed that my 14 month old has diaper rash with pretty much every stool. We use cloth diapers on her and she has never had diaper rash until the last few weeks. I’m wondering if there is something we’ve eliminated from her diet that is causing this. I feel terrible about her little bum. Hi! I just went through this with my 11 MO and it turned out to be a food allergy. So, you may want to look at what you’ve added or started giving more of vs. what you’ve eliminated.But, of course consult your ped too. Good luck! I know this is an old article, but since there are current comments I just wanted to chime in. Allergenic foods shouldn’t be delayed,ie. eggs, nuts, etc. Even for high risk infants they should be introduced when beginning solids at 6 months. There is no evidence that delay will reduce the risk of developing a food allergy. Actually, evidence seems to indicate that delaying could promote the development of the allergy. Research is even ongoing on the possible protective effect of regularly consuming allergenic foods. Delaying until your child is older means that it will be a shock to a more mature immune system. It’s the current position of the Canadian Paediatric Society. See link below for the laundry list of references. Thank you for this article! I am wondering if it would be ok to make a Paleo “formula” using dried coconut milk, dried banana, dried avocado, and dried sweet potato? I’m thinking this would be great for the diaper bag, traveling, and anytime I need a convenient, fast, just add water solution. I would love your thoughts! Hi, Thank you very much for the information is been very helpful. I started feeding my baby solids at 6 month old, he is now 9MO and I still breastfeed him before every meal… his appetite seams to be increasing rapidly and breakfast of only fruits won’t holding him until lunch time. I feed him egg yolk & fruit for breakfast few times a week and that works as he is not starving before lunch time. Can you give me ideas of what else can I give him for breakfast that will fill him up until lunch time??? I know cereals are no Paleo friendly, but what about gluten free steal cut oatmeal? How many times a week can I feed him egg yolks? Can you please explain what’s wrong with refreezing? I have been making batches of baby food from large bags of frozen organic vegetables. I cook them, then refreeze them in ice trays. I also do this sometimes with salmon to keep it fresh until I’m ready to cook it. I’ve never heard of anything being wrong with this. As long as everything is thawed properly, cooked right away, and then immediately frozen again, there are no health concerns regarding the safety of the food (According to the U.S. Department of Agriculture). Is there some other reason to avoid refreezing? I wanted to express my concern about heavy promotion of coconut oil in Paleo diet.. I used to cook with coconut oil and used coconut milk quite a lot, until I actually heard from a doctor that it is 90% saturated fat…Auch..There are many good things about coconut oil still, but the fact is that it contains more saturated fat then butter (exactly the artery clogging kind). To me it was really bad news, as I love everything about coconuts. Saturated fat is not bad for you. Watch the documentary “Fat Head” on Amazon prime. It explains why saturated fat is good for you if you cut out sugar and high glycemic starches including grains. Thank you so much for all your great advice and sharing your experiences. I’m starting to wean my daughter and am trying to follow your recommendations above. I have a couple of questions which is love your thoughts on if you have the time. 1) How much meat would you serve up – the reason I ask it that my daughter is needing a lot of naps at the moment which I think could be due to iron depletion. I was only able to breastfeed until 3 months and I combined with formula. Baring this in mind I want to give her lots of bone both cooked, puréed liver but I don’t want to overdo it on this or any other foodstuffs. What’s your advice on proportions? How much fruit which is much more sugar laiden? 2) How would you integrate egg yolks into any meals? 3) Are there any meats or cuts which you think would work well from a baby led weaning perspective as I’d like to combine puree and finger foods? How do you prepare the meats to give to baby? Hi there, what about ground up chia seeds, hemp seeds or flax seeds? Are these OK for a 6 month old? If not than what age would be appropriate to introduce these? Where does coconut milk fit in on this list? I know it is grouped in with free nuts, but the composition is different so I’m curious what your thoughts are. Exactly! That’s exactly what I was thinking of! I’m struggling with the idea of giving my 10 month toddler coconut milk egg custard, or coconut milk pudding… is it ok? I’m curious as to your opinion on premastication, especially of meats. There is some evidence that in primitive cultures (which don’t have blenders or iron supplements), the practice of pre-chewing meat to feed to the baby allows the parent to supply the baby with sufficient iron, as well as passing along pro-biotic bacteria and enzymes which help to digest meat. Really want to give my baby a Paleo diet-as I think this is healthies, just worried that she will be (severely) allergic to certain foods I don’t give her-dairy,gluten, soy, peanuts…if I never introduce her to it. Could you tell me how this works? When can babies eat sardines? I love this list! Thanks! Hi Sarah, thanks for this wonderful information. I was wondering if it’s ok to salt meats with kosher salt? Kosher is less processed than table salt. We eat New York steak often but we season it before cooking and if I was to purée that it would have salt on it unless I prepare it separately.